We love our dogs, and we want to do right by them. Other authors of articles on training have noted how it is difficult to wade through all the sources and information available on television, the Internet, and in books to find the “right” information. This is so very true! 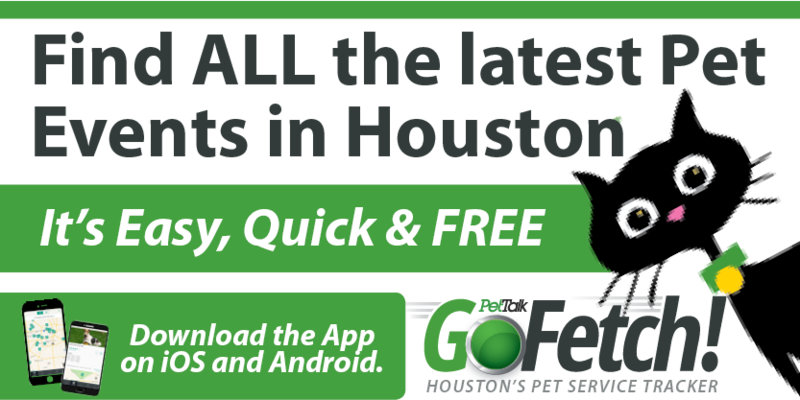 There is so much good information about dog behavior and training nowadays. Two decades ago, the research on canine behavior was scarce. Now there are many groups of researchers evaluating a variety of aspects of canine behavior. But the dog training world also is still filled with sources and professionals using ideas and methods based on antiquated information and folklore rather than science. Many of these sources espouse information that is inhumane, illogical and often downright dangerous to dogs and their people. We have enough science on dog behavior and the principles of learning that dog training should not be based on “what my daddy did” or some method arising from misinterpreted wolf behavior. Dogs are not wolves. They don’t act like wolves – and frankly we don’t want them to. Centuries ago human illnesses were treated with bloodletting. Back then doctors thought that worked. We know better now. I’d be appalled if I went to the doctor for a cough and my doctor decided to drain a pint of my blood as the treatment. Medicine has advanced – and so has animal training. In the dog world, the phrase “positive reinforcement” is a bit of a buzzword now. Everyone likes it, most people use it, yet many people don’t actually understand what it means. So let’s talk about some truths and dispel some myths and misconceptions about positive reinforcement. When we talk about training, we should talk about facts, not fiction or conjecture. What is positive reinforcement (PR)? 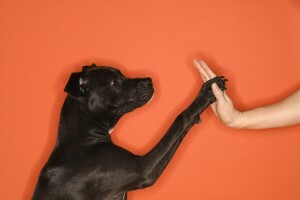 In the fields of human psychology and advanced animal training, the accepted definition of positive reinforcement is the addition of something in proximity to a behavior that results in an increased probability of a dog showing that behavior again in the future.1 We generally associate positive reinforcement with giving the animal something it likes. In the strict sense, emotions don’t play a role in the definition of PR. However, it is mostly true that things that reinforce behavior are things that the animal likes or loves. If you have ever given your dog a treat for sitting or coming to you when you called, you have used positive reinforcement. The push for positive reinforcement training came out of the marine mammal world. So then you might say, “well, dogs aren’t whales – they are different!” That is true; dogs are not whales and we don’t train dogs in pools, but we also don’t put whales on leashes. What is important to know is that the basic principles or laws of learning apply across all species – from tarantulas to dogs to horses to humans. Even a lowly amoeba can be trained to do a number of things. This fact is not in dispute; it has been proven with decades of research on all manner of species. A trainer that truly understands the principles of learning can teach ANY animal something. Here is one of my favorite misconceptions regarding positive reinforcement: dogs trained with positive reinforcement have no discipline or structure. This is so far from the truth, it is absurd. A lack of structure or discipline has nothing to do with the method being used to train the animal. People that use a “balanced” or downright punitive approach to training don’t necessarily impose more discipline or structure than a good positive reinforcement trainer. Bad training is just bad training – period. A good trainer imposes strict criteria for what behaviors he/she reinforces in the animal. I give my dog tons of affection, treats, and praise throughout the day. (Isn’t this why we have dogs?) But these are not delivered willy-nilly – every reinforcer serves a purpose to strengthen a behavior that I like. I don’t pay attention to my dog if she’s barking. But I will go pet and kiss her if she is resting quietly on the couch watching the squirrels in the back yard or chewing on her bone. This is positive reinforcement. The more time she spends resting quietly or playing with her toys, the less time she spends barking at things – and I can accomplish this without yelling at her, yanking on her collar, or pinning her down on the ground. One reason for this misconception about lack of discipline is that PR trainers often instruct owners to ignore, neutrally interrupt or redirect unwanted behavior. Which intervention you choose is based on the situation and the behavior being shown. If your dog is barking at you for attention and you yell at the dog, you just gave the dog what it wanted – attention. You have actually rewarded (reinforced) barking. Don’t be surprised if the dog keeps barking at you in the future. Good trainers know that when you draw attention to a behavior, you stand a realistic risk of actually reinforcing that behavior in some way – even if it’s a behavior you don’t like. Why don’t PR trainers punish (correct) unwanted behavior? Well, actually they do at times. PR trainers tend to focus on negative punishment – removing something the dog likes in order to reduce the likelihood the dog shows the behavior again. Time-outs are a form of negative punishment. Turning away and ignoring your dog when it jumps on you is also negative punishment. More importantly, for a dog that is accustomed to being told when it does something right, the absence of feedback actually tells the dog when it has done something wrong! What PR trainers do avoid is using positive punishment – hitting, yelling, correcting the dog with a collar, holding the dog down on its back or side, or grabbing the dog by the scruff, etc. While many people don’t truly understand positive reinforcement, just as few truly understand punishment. Many dog trainers profess that they don’t punish dogs. Instead they use terms such as discipline or correction – but these are just euphemisms for punishment. Often punishments or corrections are so poorly implemented, even by allegedly experienced trainers, that they constitute abuse. Dogs have been seriously injured and even killed by dog trainers all over the nation – unfortunately these cases are not rare. There is no state or national standard for dog trainers. It is truly “buyer beware”. This is your dog’s emotional and physical health, so do your research when looking for a trainer or a training source. Find sources and individuals that are professional and use documented science based techniques. Don’t let your dog trainer “blood let” your dog. Excellent article, I will use it with my Service Dog Trainers today, thanks. Being able to explain the research in everyday language is what we need when explaining to the public why we choose to use operant conditioning behaviour analysis as our chosen method of animal training. The 4 techniques: shaping, luring, moulding and capturing cover all the bases. “…we want to emphasize positive reinforcement and use as few negative interventions as possible.” I like that. Why is positive punishment not okay but negative reinforcement is, based on what has been outlined in this blog. Both use aversives but negative reinforcement is usually using the aversive for longer. Carol – you teach the dog to do something else. If the dog barks at someone walking up to the door, you teach it instead to go into its bed or fetch a toy. If your dog barks at you for attention, teach it to touch your hand or sit. Me – she actually outlines negative punishment rather than negative reinforcement in her examples. I don’t believe she is promoting negative punishment in the article.